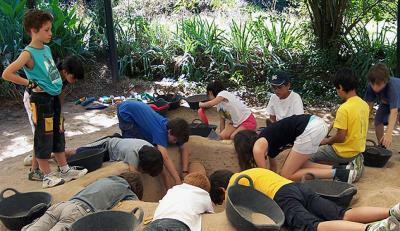 Located in Palau-solità i Plegamans, 20km from Barcelona, the Archaeology Campus is an area where students of all ages can engage in archaeological practices. 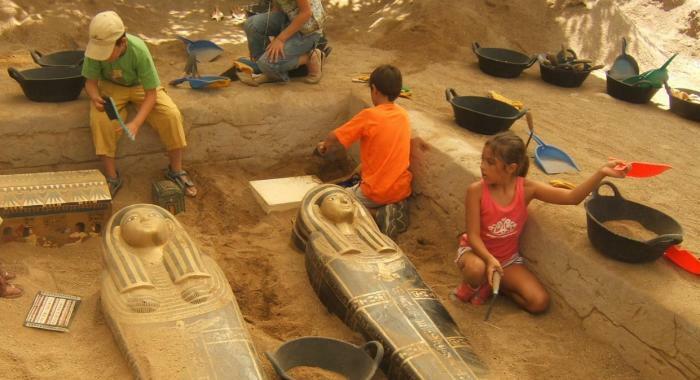 The Archaeology Campus provides an educational proposition that allows students to develop research skills, discovery and teamwork and promotes a knowledge of ancient Egypt through archaeology. 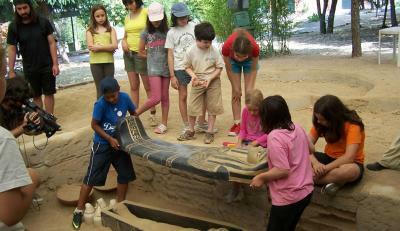 The Campus contains replicas of three original archaeological sites that bring the student closer to the world of archaeology. The Archaeology Campus is located in La Masia de Can Mayol (Palau-solità i Plegamans), a restored 17th-century structure that is used as a venue for various archaeological practices. This necropolis is a complex of six shaft tombs that date from the formative period of Egyptian civilization (4000-3200 B.C.). The materials we discovered in these tombs (ceramics, weapons, jewels, etc.) and their shape give participants an idea of the cultural evolution that occurred over this period. Furthermore, the presence of natural mummies and their location provide observers with a closer insight into the beliefs of the ancient Egyptians. This is a single tomb from the 18th dynasty (1543-1292 B.C.). This tomb contains a very rich trousseau, made up of sarcophagi, mummies, canopic jars and items people used. The excavation provides a picture of the lives of the people discovered in this tomb, who lived at the time of pharaohs such as Tutankhamen and Akhenathon. A life-sized replica of the tomb of Sennedyem, with its wall paintings and hieroglyphic text. Sennedyem was an artisan who worked on the construction of the famous tombs in the Valley of the Kings during the reigns of Sethi I and Rameses II. Like his fellow artisans, Sennedyem lived in the famous artisans’ district of Deir el-Medina. In their free time, he and his fellow artisans built their own tombs (albeit less elaborate). 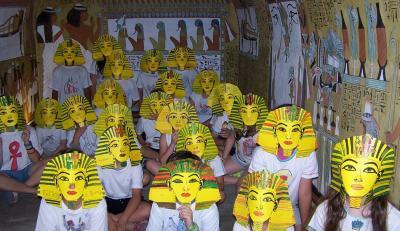 To prove it we have created a life-sized replica of the tomb, together with its paintings and hieroglyphic text. It is also very important due to its excellent condition and the participation of Catalan egyptologist Eduardo Toda throughout the excavation process. 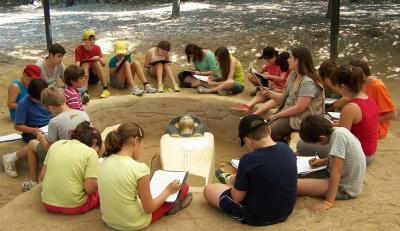 At the Archaeology Campus, we offer weekend family activities so that you can feel like an archaeologist for a day.